His power: Hank Pym was the original Ant-Man, though he hung up the suit a long time ago. 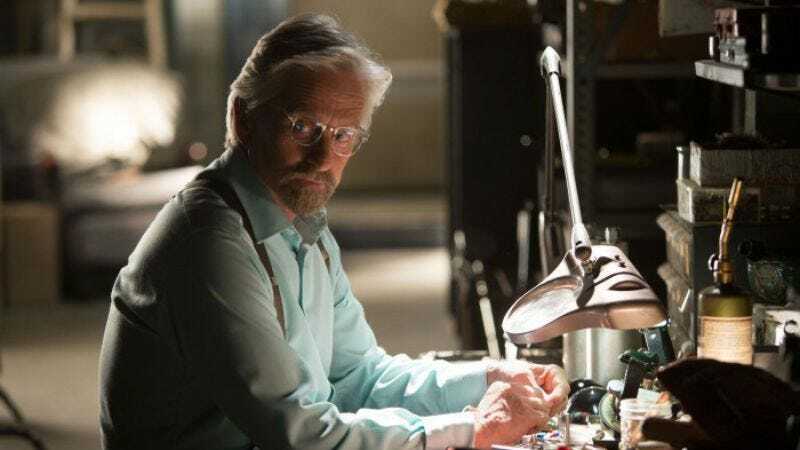 His story: We first meet Pym in Ant-Man, where it’s revealed that he orchestrated a break-in at his own house to see if Scott Lang was up for the task he had planned for him—namely, breaking into Pym Technologies to steal the Yellowjacket suit prototype of his shrinking formula, stolen by Darren Cross. Hank recruits Scott and, along with his daughter, Hope Pym, trains Scott to use the Ant-Man suit. Together they develop a plan to infiltrate Pym Technologies, steal the suit, and destroy the research. However, Hank is injured during the assault, requiring a hospital trip, though he recovers nicely. Plus, by the end it’s revealed he’s secretly developed a separate shrinking suit for Hope, as well. What a considerate dad. Currently, Hank Pym is: Living at home, and probably pretty content. Where will we see him next? His most likely appearance will be in Ant-Man And The Wasp, due out July 2018.